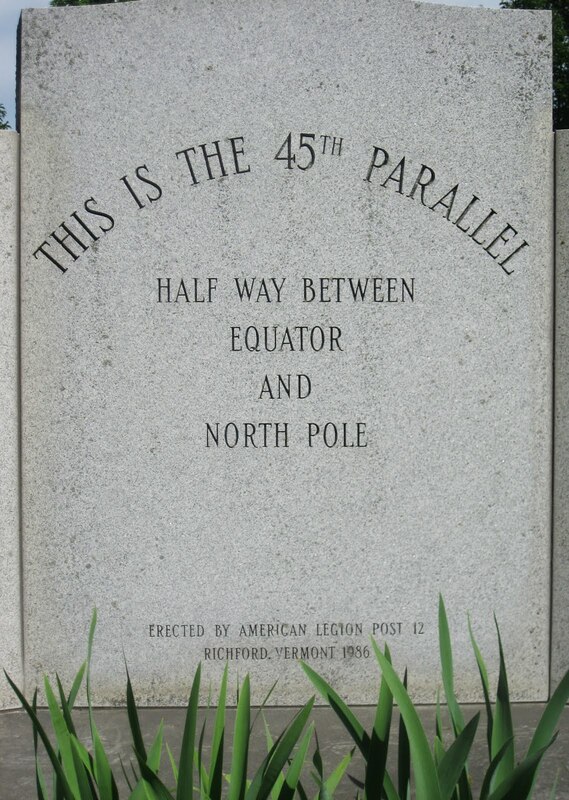 The 45th parallel is marked on a grey slab that looks curiously like a headstone in the town of Richford, Vermont, about five miles south of the Canadian border, in the heart of an area of desolate beauty known as the Northeast Kingdom. It’s down the road from a boarded up takeout Chinese place. 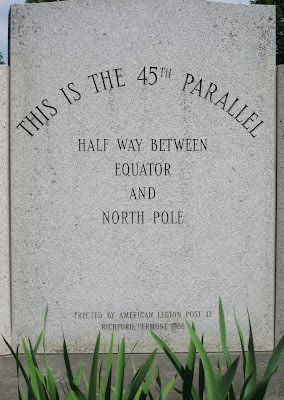 Most of the main streets in this locale, with their lines of two-story wood or red-brick buildings and deserted storefronts, are an inglorious celebration of the cynosure of geography that marks the midpoint between the Equator and the North Pole. The stone marker was put up by the local American Legion back in the ’80s, and it’s the kind of tourist attraction that’s easy to miss and unlikely to attract large crowds, the kind landmark that creates more of a whimper than a bang. But there is something wonderful about the fact that the marker sits in such an inconspicuous location. Both poles, even though they are currently degrading due to global warming, have been the sites of legendary expeditions, in which famous explorers like Robert Falcon Scott have lost their lives. In the meantime, mankind has been furnished with many mountains to climb, including Everest and the rock face of the Matterhorn. Huge skyscrapers continue to challenge the heavens, but this quiet spot on an obscure country road seems a fitting place for the ultimate Maginot line. You don’t feel anything as you cross it, and that seems to be the point. “You must go on. I can’t go on. I’ll go on,” Beckett’s narrator says in The Unnamable. When you take away man’s self-created dramas (the hostile separation between North and South Korea at the 38th parallel, for example), the life we live on earth is really best described as a simple road with signs leading North, South, East or West.